It was the early evening as the sun’s glimmerings rays were retreating slowly behind Ottawa’s western landscape. We were not due to the Majolini tasting for another twenty minutes, but anticipation had already rooted itself firmly in our bones. The room was nearly empty and Simone, with his endearing Italian accent greeted us warmly and with pride. There were introductory hugs and polite kisses all around- left cheek, right cheek. We were handed two glasses of Franciacorta, smelling of cooked golden apples, with subtle biscuity aromas and delicate bubbles ascending. I looked around the room, candles were hanging around the old stone walls casting shadows along their rough textures. “Franciacorta,” Simone repeated the word passionately, although shy at first, he became increasingly eager to share with us the stories of Italy, his life and his purpose. The family’s winery expressed his fathers vocation and his brothers quickly rose to the occasion, becoming one of the most widely respected Franciacorta producers in the world. “Have you ever heard of this? It’s Franciacorta!” Truthfully, I hadn’t..
For anyone who appreciates wine in a genuine way, the beauty of any glass is in its expression of sense of place. It comes from the ultimate knowing that what is in your glass, if produced in an honest way, will encapsulate the soils, the aromas, the spirit of the land from which it originates. In Italy, and many other places in Europe, sense of place is evident because the interplay between wine, culture and history is strongly evident and has been for many years. There is no exception for the region of Franciacorta of Lombardia, where winemaking goes back as far as 1570 when Gerolamo Conforti wrote the “Libellus de Vino Mordaci,” a book on lively wines. He advocates their vivacious, compelling character encouraging his readers to try them, “lest the gaseous output, delicate and prickling be lost.” Apart from tenacity, what differentiates this sparkling from that of any other in the world is its incredible elegance, one that is understated and simultaneously multifaceted- just like the land from which it originates. In the district of Brescia, gentle rolling hills soften the mountainous horizon. Being only hours away from the Alps, with lake Iseo to the north and Mount Oferno to the south, this terroir preserves a moderate climate. The landscape is every way as sensual as the wines they produce: gracefully refined, full of brilliance and wildly beautiful. 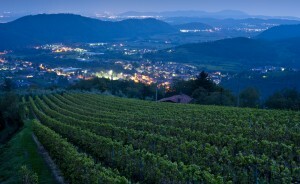 Interestingly, this region has produced wine since the 16th century but it has only been throughout the last 50 years that the production of Franciacorta made its revolutionary debut. Most paradoxically, the modern success of Franciacorta is based on one fundamental truth: that the formula of this wine was created without dependence on tradition or ancient requirements with which to relate. In 1961 when experimental winemaker Franco Zilian created his first 3,000 bottles of what was then referred to as ‘Pinot di Franciacorta,’ he was unaware of the success his innovation would bring. The next vintage sold 20,000 until annual production increased to 100,000. Since then, it has risen to become the first Italian sparkling to earn the highest appellations award of DOCG, now selling more than 10.5 million bottles annually. Comprised of 85% Chardonnay, 10% Pinot noir and 5% Pinot blanc, this wine demonstrates great character even within the strictest regulations. Of the ten most prestigious wines of Europe, only Champagne, Cava and Franciacorta are made by refermentation in the bottle. 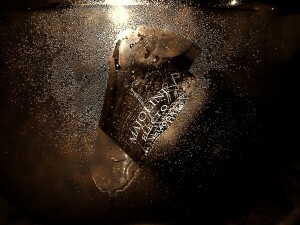 So, then, what differentiates Franciacorta from its French and Spanish rivals? At the forefront of the comparison, lie the obvious differences of terroir and climate. The more interesting differences however, lie within the facts that are for the most part, unknown. The region of Franciacorta has 1/10th the size of a wine growing area; and where champagne can expand their region, Franciacorta cannot. 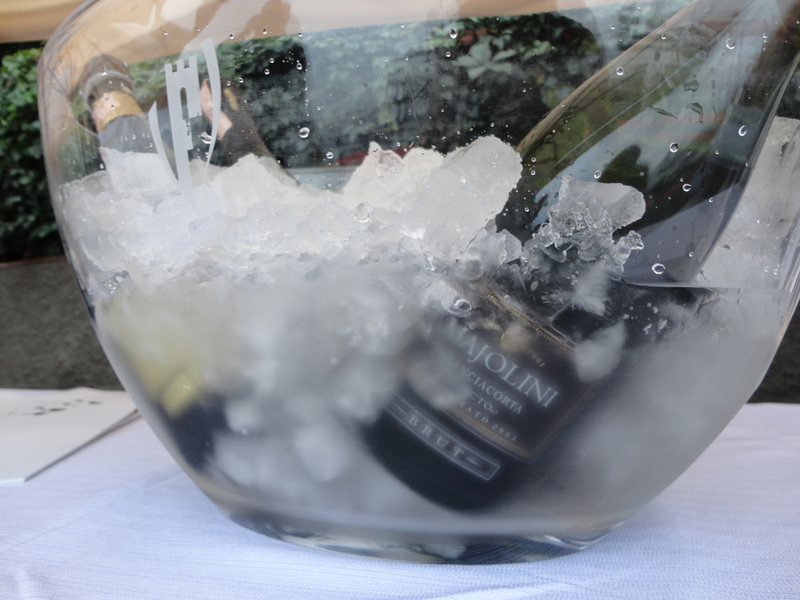 Champagne producers add sugar in the first fermentation- Franciacorta refrains. Champagne requires 15 months of fermentation and the DOCG of Franciacorta requires 18 for non-vintage and at least 60 months for riserva. Franciacorta spends a longer duration on the lees and is produced in smaller batches, with lower bottle pressure over time. It is wonderfully refined. And here is the kicker: champagne costs less to produce and sells for much, much more. Champagne has become the grey goose of the world: it is what the dry, indifferent and unaware bourgeoise ask for as their go-to. The name Veuve Cliquot, although respected, has become the sparkling equivalent. Champagne was created to once compete with its Burgundian rivals to the south- but that was the medieval era. Once upon a time Champagne made its triumphant debut during coronations in spacious, cold stone castles designed to appease the aristocrats- the elite. Now, more than 300 years later, is it really still as exclusive when it is consumed by all? Champagne carries with it, that unaffected stone-faced character; the gentleman that observes and never smiles. Franciacorta is the lively, charismatic woman who is naturally graceful, filling the room with smiles and flickering laughter. 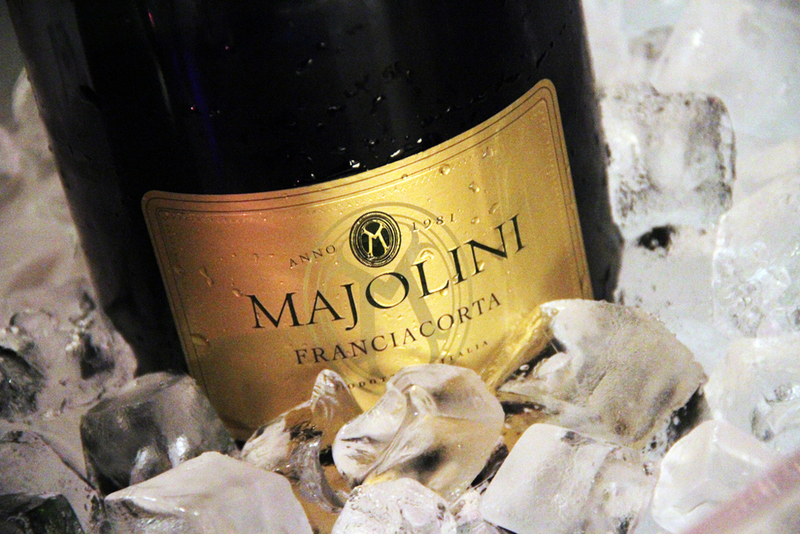 The warmth and graceful refinement of Franciacorta is inviting and sensual. However, the most impressive differences are revealed in the glass, on the nose and in the mouthfeel. It sets itself apart from the rest of the crowd- and when you drink it, as do you.